The Nanotech 2018 boundless place for researchers, Bio Scientists, Policy Makers, young individuals and especially for industry specialists to fold together, share experiences, discuss research findings and take the novel knowledge for practical outcomes. All honorable authors are benevolently enheartened to contribute and avail shape the conference through submissions of their research abstracts, papers, and e-posters. Withal, high-quality research contributions describing pristine and unpublished results of conceptual, constructive, empirical, experimental, or theoretical work in all areas of Nanotechnology and Material Science are cordially invited for presentation at the conference. Conference sessions will bring you the latest strategies, research, and best practices to improve outcomes through quality, safety, and staffing. Attendees will learn from evidence-based research and discover innovations they can start using immediately. Join your peers at a conference for focusing on quality outcomes! Dr. Mousa finished PhD from Ohio State University, College of Medicine, Columbus, OH and Post-doctoral Fellowship, University of Kentucky, Lexington KY. 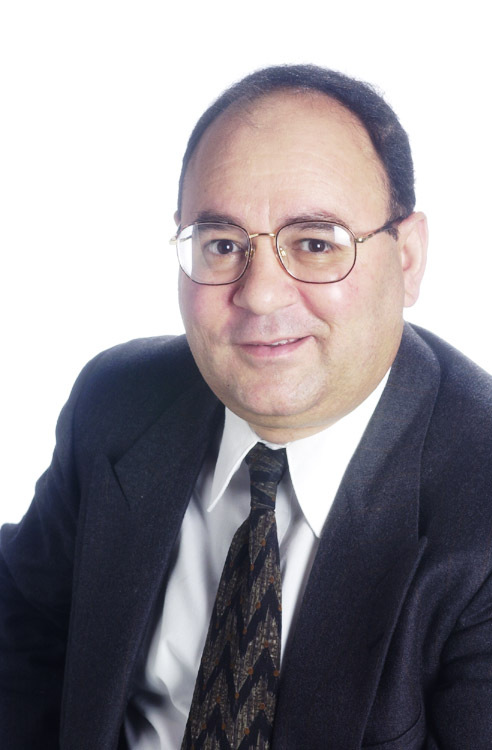 He also received his MBA from Widener University, Chester, PA. Dr. Mousa is currently an endowed tenure Professor and Executive Vice President and Chairman of the Pharmaceutical Research Institute and Vice Provost for Research at ACPHS. Prior to his academic career, Dr. Mousa was a senior Scientist and fellow at The DuPont Pharmaceutical Company for 17 years where he contributed to the discovery and development of several FDA approved and globally marketed diagnostics and Therapeutics. He holds over 350 US and International Patents discovering novel anti-angiogenesis strategies, antithrombotics, anti-integrins, anti-cancer, and non-invasive diagnostic imaging approaches employing various Nanotechnology platforms. His has published more than 1,000 journal articles, book chapters, published patents, and books as editor and author. He is a member of several NIH study sections, and the editorial board of several high impact Journals. His research has focused on diagnostics and therapeutics of angiogenesis-related disorders, thrombosis, vascular and cardiovascular diseases. Prof. Hyung-Ho Park's current research focuses on the preparation, characterization, and application of various functional thin films including nano-particle preparation, nano-hybridization, and nanostructure formation. Nano-hybrid thin films are prepared by the incorporation of nano-particles or in-situ one-pot synthesis. Nanostructure formation contains nano-particle distribution and control of nanopore size and its distribution in mesoporous thin films. Our interests include also micro photoresist-free direct-patterning of various metal oxides thin films including TCO by using photochemical metal-organic deposition. His lab has the strength of spectroscopy and diffraction characterization of thin films and evaluation of their functional properties. Prof. Ir. Dr. Hin-Yong Wong received his B.Eng. (first class Hons.) in Electronics Engineering from the University of Sussex, United Kingdom, in 1997. In 1998, he was awarded the Tetley &Lupton Scholarship and received his M.Sc. (Eng)(WITH DISTINCTION) in Radio communication and High-Frequency Engineering from the University of Leeds, United Kingdom He was later awarded the Overseas Research Students (ORS) Awards Scheme (U.K.) and University of Glasgow Postgraduate Research Scholarships to pursue and obtain his Ph.D. from the School of Electrical & Electronics, University of Glasgow, United Kingdom. Prof. Wong is now a Professor and the Dean of Faculty of Engineering at the Multimedia University. As of today, he has published book chapter, review chapter, encyclopedia, and over 100 international research articles. His current research expertise and interest areas include Microelectronics, optical communication, semiconductor device fabrication & processing technology, nanotechnology, nano-patterning, photonics integrated circuit & organic electronic devices, solar cell technology and Microelectronics reliability and qualification. Prof Wong is presently a Fellow of Institution of Engineering and Technology UK, Fellow of ASEAN Academy of Engineering and Technology, Fellow of The Institution Of Engineers Malaysia. He is also the recipient of The IET Malaysia Young Engineer Award, honouree of the 2015 Ten Outstanding Young Malaysians(TOYM) Award by the Junior Chamber International, recipient of The National Outstanding Educator Award 2017 awarded by Private Education Co-operative Of Malaysia (EduCoop) in conjunction with the national Teachers Day Celebration. Professor Dr Amir Azam Khan has worked extensively on Surface Engineering of Materials during the last 20 years. He did his PhD at the Laboratory SPCTS (Sciences des ProcÃ©dÃ©es CÃ©ramiques et de TraÃ®tment de Surfaces) University of Limoges, France. 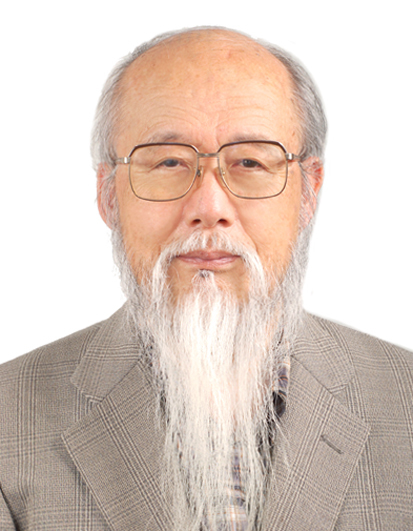 His work was concentrated on the development and characterization of tungsten and molybdenum coatings through plasma spraying, sintering of nitride ceramics and ceramic based composites in the AlN/Mo system, as well as low pressure plasma spraying of refractory films over metallic and ceramic substrates. This work was financed by General Electric Medical Systems (GEMS) USA, for producing High Energy X Ray tube anodes for continuous imaging in their CT Scanners. Prototypes of coated Ceramic Matrix Composites (CMSâ€™s) were produced according to their design and patented by GEMS, USA. In addition to this application, these composites show excellent tribological properties, and are considered for their possible use under self lubricating conditions. Later he worked under a project with SPCTS to produce and study the glass/metal composite films deposited over porcelain substrates with an objective to use these films for the induction heating of porcelain utensils. The work was carried out with the financial support of French porcelain manufacturer APILCO. Prof. Khan, who is also a Professional Engineer, has supervised a number of Masters and PhD students during the last 20 years. He was awarded the Best Scientist award by the Third World Academy of Sciences (TWAS), Rabat, Morocco, in the year 2001, and was given the title of Chevalier dans lâ€™ordre de Palmes AcadÃ©miques by the French Prime Minister, in March 2001, for his invaluable services for the cause of research and education. He also obtained the prestigious fellowship of Max Planck Institute, Stuttgart, Germany, in 2001 and 2003. Recently he has been accepted as Fellow by the Institute of Materials, Minerals and Mining (IoMMM), UK. Since 2009 Prof Khan is working at the Department of Mechanical and Manufacturing Engineering, Faculty of Engineering, UNIMAS, Malaysia. Before his present position, he has held several important Scientific and Administrative Posts in the past at other Universities. 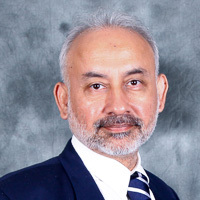 Prof. Khan is one of the reviewers appointed by Elsevier and Maney Publishers, for the Journals of Alloys and Compounds, Ceramics International and Surface Engineering among other Journals. He is Editor of the Proceedings of International Engineering Conference (ENCON2013), published in September 2013 by RPS, Singapore, and ENCON 2017. He is also Editor of FENG Research Bulletin, a research news publication of the Faculty of Engineering, UNIMAS. He owes to his credit publication of three books and over 60 research publications in Journals and International Conferences. 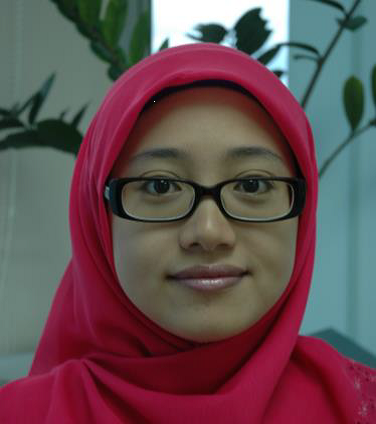 Belinda Pingguan-Murphy received her B.Eng in Biomedical Engineering from the University of Malaya in 2001. In 2006, she received her Ph.D. in Medical Engineering from Queen Mary, University of London. At present, Dr. Pingguan-Murphy is an associate professor in the Department of Biomedical Engineering, University of Malaya and she is also the Director of the Centre for the Initiation of Talent and Industrial Training, University of Malaya. Dr. Belinda Pingguan-Murphy is the first female Malaysian Chartered Engineer of the Institute of Physics and Engineering in Medicine, UK and is also a registered Professional Engineer with the Board of Engineers. Her research involves the integration of engineering principle, cell biology and materials science in the development of biomaterials for the application of Tissue Engineering and Implant. To be specific, her group engineers cell microenvironments through the manipulation of materials and surface modification (e.g. from micro to nanoscale) and evaluate cell-materials interactions. Her research also extends to the development of biosensor particularly for application in Point-of-Care technologies. Dr. Pingguan-Murphy has published more than 90 journal papers. She has also served as a journal reviewer for a number of international journals and conferences. Assoc. Prof. Dr. Ching Yern Chee graduated from the Faculty of Chemical Engineering, University Technology Malaysia. has published more than 75 research articles in various ISI/WoS- and Scopus-listed publications. Ir. Dr. Ching has filed numerous intellectual property rights/patents for her inventions and received many accolades as a distinguished scholar. She is filing a few patents, trademarks and copyrights which stem from her specialty research. She has 8 gold awards and 2 Best Invention Awards at international/national exhibitions pertaining to her research and inventions. Her invention on bionanocomposite coating has won the Best of the Best Award and Gold Medal in 4th International Invention, Innovation & Design, INDES 2015. 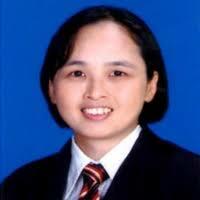 Her research invention (Biobased nanocomposite coating system) has won the Gold Medal in MTE 2013 and ITEX 2013. Dr Ching serves as reviewer for several SCI-Q1 journals. She participates actively in the administration works in University of Malaya and involves in several professional bodies. She also contributed to the development of Malaysian Standards on Dependability Management (SIRIM). She is a Chartered Engineer of IMechE, UK, Graduate Engineer of Institute of Materials, Minerals and Mining, UK. Graduate Engineer of Board of Engineers, Malaysia and member of the Institution of Engineers, Malaysia (IEM). Chia-Yun Chen is an assistant professor in the Department of Materials Science and Engineering at National Cheng Kung University (NCKU), Taiwan. His fields of research interests include functional nanomaterials and devices, wet etching technique, semiconductor processing, solar cells and optical sensing with a focus on their optoelectronic applications. He was the recipient of the Outstanding Young Scholar Award from Ministry of Science and Technology (MOST) in 2014, and he was awarded the MOST Special Outstanding Talent Award in 2016. He served as first/corresponding author for several high-impact scientific papers including Advanced Materials, Optical Express, Nanoscale, Scientific Reports and Applied Physics Letters with h-index of 14, and holds 4 Taiwan/US patents. Within the last five years, he has published 26 SCI journal papers (No. of the corresponding author: 20) with the majority of them published in leading journals in the field of surface science, nanotechnology and applied physics. Dr. Osman Adiguzel graduated from Department of Physics, Ankara University, Turkey in 1974 and received Ph.D.- degree from Dicle University, Diyarbakir-Turkey in Solid State Physics. He studied at Surrey University, Guildford, UK, as a postdoctoral research scientist in 1986-1987, and his studies focused on shape memory alloys. He worked as a research assistant, 1975-80, at Dicle University, Diyarbakir, Turkey. He shifted to Firat University in 1980 and became a professor in 1996, and He has already been working as professor. He published over 50 papers in international and national journals; He joined over 100 conferences and symposia in international and national level as participant, invited speaker or keynote speaker with contributions of oral or poster. He served the program chair or conference chair/co-chair in some of these activities. 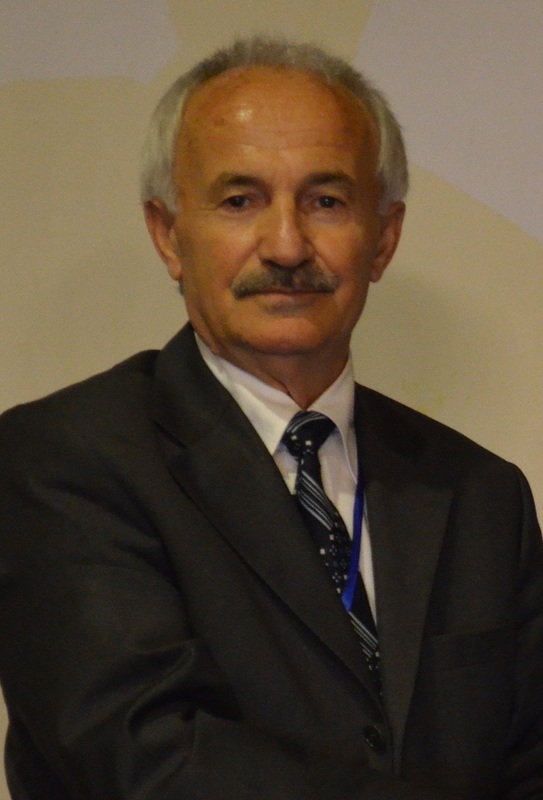 Dr. Adiguzel served his directorate of Graduate School of Natural and Applied Sciences, Firat University in 1999-2004. He supervised 5 Ph.D.- theses and 3 M.Sc theses. He is also a Technical committee member of many conferences. He received a certificate which is being awarded to him and his experimental group in recognition of significant contribution of 2 patterns to the Powder Diffraction File â€“ Release 2000. The ICDD (International Centre for Diffraction Data) also appreciates the cooperation of his group and interest in Powder Diffraction File. Dr. Shankar Venkataraman accomplishments over four and half decades of experience include an earned doctorate from IIT ( Indian Institute of Technology), Madras and a vast professional and challenging experience in Mechanical / Aerospace- Research, Design & Development and Projects and top-level scientific and engineering management. He worked for ISRO (Indian Space Research Organisation) -liquid propulsion system, space propulsion system - R & D and ( Research & Development), D & D( Design and Development and Projects. After retirement as Additional Director & Technical Director of Hot End Technologies ( combustor and afterburner modules development ) of GTRE (Gas Turbine Research Establishment), Bangalore, he entered academics. Since July 2013, he has been working as Professor of Mechanical Engineering, Faculty of Engineering, Christ University, Kumbalgode, Bangalore. He is engaged in teaching (Energy Engineering and Professional Development courses and value added courses on CFD, gas turbine and liquid engines ) and actively engaged in handling funded research projects. He has completed a four year funded project on LHR ( Low Heat Rejection) engine by incorporating zirconium oxide TBC ( Thermal Barrier Coating) on piston crown. The ongoing research project includes research and development on (Functionally Graded Materials) TBC ( Thermal Barrier Coatings) on Inconel 718 under VSSC ( Vikram Sarabhai Space Center), ISRO ( Indian Space Research Organisation) Grant-in-aid project under RESPOND programs. He has established state-of-the-art diesel engine laboratory and laboratory scale burner rig in the Surface Engineering Laboratory for thermal shock tests and barrier tests. He is actively leading research team and guiding Ph.D., P.G (Post Graduate) and ( UG (Under Graduate) scholars in research. Typically fourth semester UG students are selected with a flair for research and contribute to the research program and are trained for Life Long Learning. His recent publications include: a) ASME POWER-ICOPE2017-3498 on thermodynamic simulation of Computer Simulation of Diesel Fuelled Engine Processes using MATLAB and Experimental Investigations on Research Engine and b) Thermal and Metrological Studies on Yttria-Stabilized Zirconia Thermal Barrier Coatings and a Simulated Model to Correlate the findings in Advances in Materials Science and Engineering: An International Journal (MSEJ), Vol. 3, No. 2, June 2016 . His research interests include CFD ( Computational Fluid Dynamics), CHT ( Conjugate Heat Transfer), Combustion, Engines, and emissions. Invariably all the combustion devices he has worked during his experience have high-temperature coatings and Nano Coatings and Material Science certainly fall into his research interest regime. Dr Azmah Hanim is currently an academic in the Department of Mechanical and Manufacturing Engineering, Faculty of Engineering, University Putra Malaysia. She obtained her degree in Mechanical Engineering (Material Science) and her PhD in Mechanical Engineering from University Technology Malaysia, Johor. She joined UPM in the end of year 2008. She have authored 55 journal papers to date and published three books and five book chapters on materials. She have graduated five master students and two PhD students in the field of material engineering as their main supervisor. As a recognition from other institutes, she have been invited as external examiner for master students in Multimedia University Malaysia, Universiti Malaysia Perlis and Universiti Tun Husein Onn Malaysia. She is also a member of the Tin Solder Technology Research Group, a group develop by Tin Industry (Research and Development) Board, under Kementerian Sumber Asli dan Alam Sekitar. Most of her research focus on lead-free solders for electronic packaging, modifications in aluminium silicon alloys and ceramic composites pore modifications with agricultural pore formers. 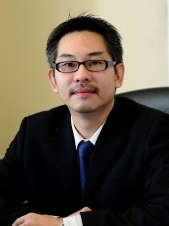 Dr. Tye Ching Thian is an associate professor of School of Chemical Engineering in Universiti Sains Malaysia. She received her doctoral degree at The University of British Columbia, Canada. She is working in the area of chemical reaction engineering and catalysis. 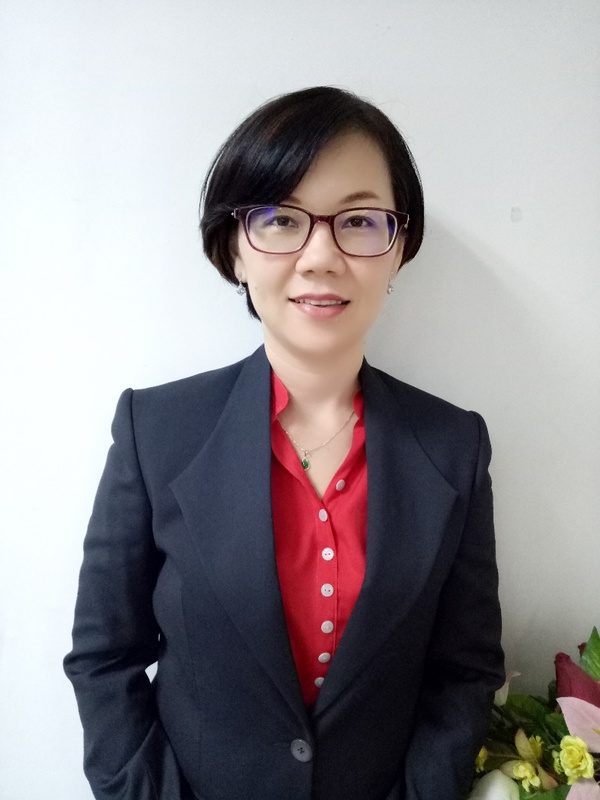 She has been involved in projects to improve catalysis activities, system efficiency, as well as the products quality via different treating technologies that related to petroleum and different unconventional oil processing such as heavy oil, used motor oil and palm oil. She served as review panel for international refereed journals, scientific proceedings as well as international grant. Dr.Kumaran Kadirgama received the Ph.D. degree in mechanical engineering from the University Tenaga Nasional, Malaysia, in 2011. He also completed his Street-Fighting Math course offered by MITx in 2014. His current research interests include machining, nanotechnology, tribology and heat transfer. Until today, he published more than 100 International journals in ISI and Scopus indexing. Dr. Kumaran received a total of RM 4.6 million grants from University, Minister for machining and nanotechnology research and Qatar national research fund. 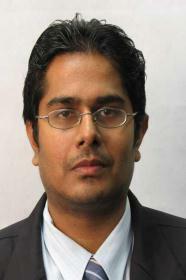 He is the Associate Editor for International Journal of Automotive and Mechanical Engineering (IJAME â€“ Scopus). 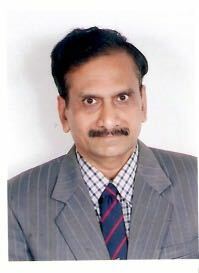 Dr. (Ms) T.Theivasanthi of Kalasalingam University doing research in nanomaterials/nanotechnology; has 15 years of teaching experience; published many research articles/ books and h-index 10; life member of Indian Science Congress Association and Magnetics Society of India; member of International Association of Advanced Materials; serving as Editorial Board Member/ reviewer for some scientific journals; lead editor in JNNN special issue (SAGE Publications, UK); achieved many awards/ honours/ recognitions including - Madurai Women Achievers Award - 2013, Motivational Award - 2015 and 2015 Womenâ€™s Day Award of St.Annes College; achieved World Record in LIMCA Book of Records-2015 for nanotechnology invention â€œWorldâ€™s first superparamagnetic plants materialsâ€ â€“ named â€œSanthi Particlesâ€, World Recordâ€“ 2016 for innovative products "The Worldâ€™s lowest priced graphene" & "Worldâ€™s Smallest Particles of Vegetables" and World Recordâ€“ 2017 for the invention "The Worldâ€™s Smallest Anti-Viral Plant Particles". Other innovative products- Superparamagnetic lead nanoparticles, semiconducting lead Nanoparticles, Low cost-mass production of graphene, agricultural nano fertilisers, vegetable powder for diabetes, plants materials for diabetes & psoriasis and nanoparticles for treatment of EBOLA, DENGUE, HIV & H1N1 virus infection. Govt. 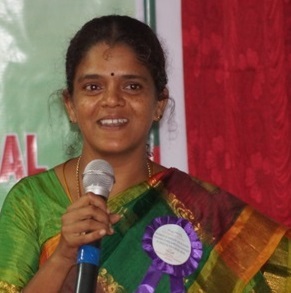 of India shows interests to develop her inventions for the benefits of public; since Dec-2014, she has delivered lectures (more than 120) in International / National scientific conferences, foreign countries and renowned institutes like National Institute of Technology, Anna University, Central University of all over India; she delivered Motivational Lectures for women, students and staff of institutes / Multi-national corporate companies (Cognizant Technologies); Artha Nyana Academy (Malaysia), Intelligent Society of Malaysia etc. NanoDigest, Economic Times and Telegraph have published news about her research; Thanthi TV, All India Radio, Minnal FM (Malaysia) and Bernama TV (Malaysia) have broadcasted her interviews.